Redditch, Worcestershire: A major investment of over £300,000 by Frip Finishing in pick and place window technology has further extended the range of packaging services available to its carton customers, reinforcing the company’s position as the leading provider of decorative print finishing and specialist lamination services to the UK packaging industry. The Esatec Digistar 2 1100 pick and place and window patching machine not only provides pick and place windowing and window patching, but it also incorporates a Cardene 2 system which allows for in-line film punching, scoring and creasing. The machine is capable of applying window blanks ranging in size from 40mm x 40mm right up to 480mm x840mm. 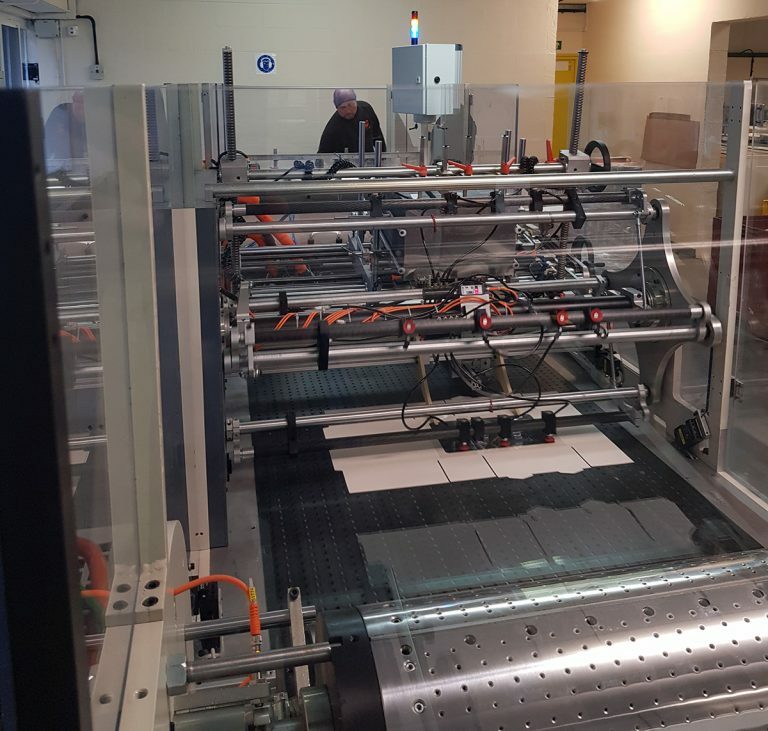 The machine was installed in November at the company’s Redditch facility from where specialist Metalpaper and sheet-fed window lamination services are already provided. It complements the existing foil blocking, die-cutting and window lamination processes by providing customers with a complete range of carton windowing options. Importantly, this new pick and place and window patching machine will enable Frip Finishing to enter new markets such as the loyalty and gift card markets for card placement.